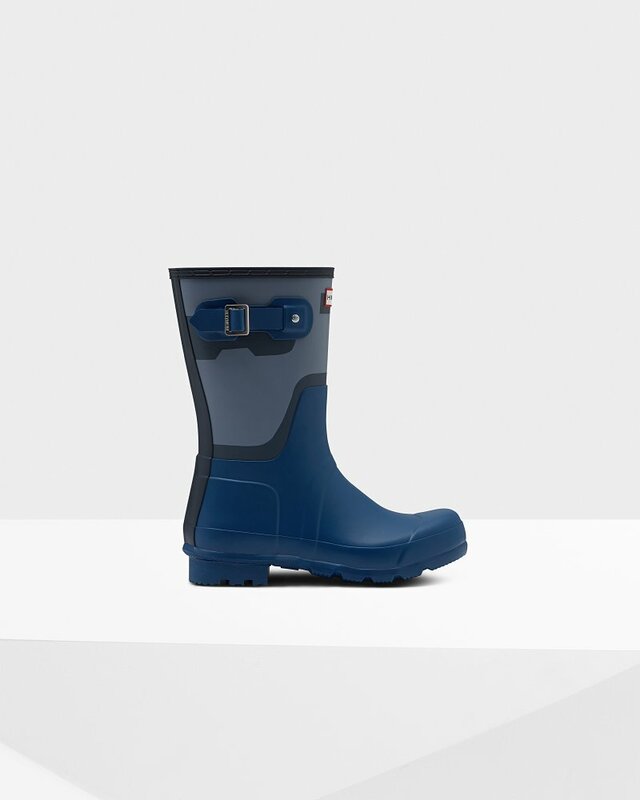 Perfect for wet weather conditions this men's Rain Boot is a shorter version of the iconic Hunter Original Tall Boot. Formed of natural rubber with the Hunter Original tread pattern and a comfortable polyester lining, each boot is handcrafted and assembled over three days before being vulcanized for superior protection. Taking inspiration from the concept of shadow play along the Great British coastline, and paying homage to our rich British heritage, the seasonal Shadow Print in blue and gray represents the ultimate coastline walk.